Let me get myself properly composed. After 8 months of requests, after so much frustration, so much disappointment, so much internal and external strife: It has happened. 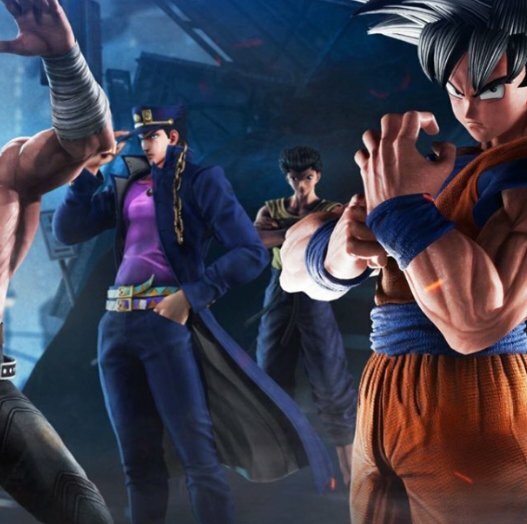 Jotaro Kujo, of JoJo’s Bizarre Adventure fame, has OFFICIALLY been confirmed for JUMP FORCE’s roster. Jotaro has been released this afternoon, after advertisements on Facebook leaked his involvement, as well as Dai, from Dragon Quest: The Adventure of Dai. Rumblings were doubtful, but since Ninii has been right in the past about past leaks, but there have never been as much concrete evidence before now. What do you think? Do you think they should have revealed it like this, or should they have announced it earlier? Let me know by leaving a comment. Stay Twisted, and YARE YARE DAZE. Next Post W’z Ep. 3 REVIEW: Talking… and more talking. Also, WHO ARE YOU PEOPLE? !